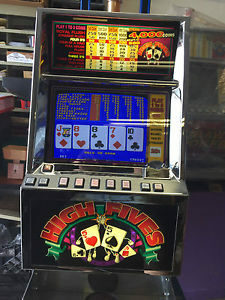 IGT machines are the best, in the opinion of many, as they are very well built and most replacement parts are readily available. 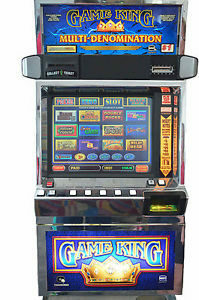 The Player’s Edge Plus model had been the workhorse for most casino’s for over twenty years. 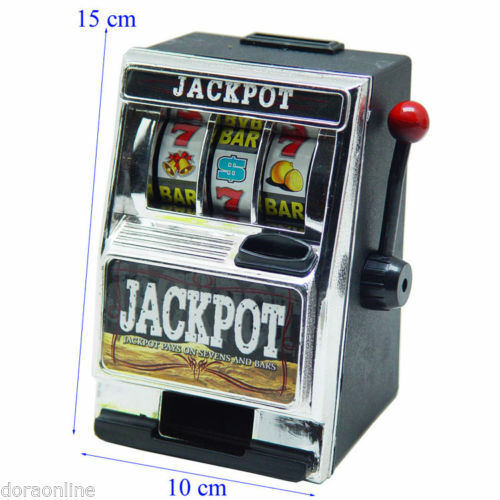 Even though there are still thousands working in casinos, they are not often seen for sale to the home market. 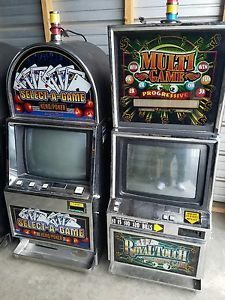 Slot machine re-sellers snap them up when they become available from the casinos, refurbish them, and ship them overseas for huge profits. 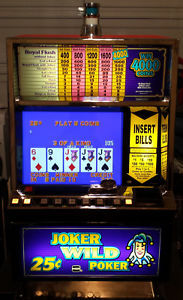 This model is the Jokers Wild Poker and has been very popular for years. 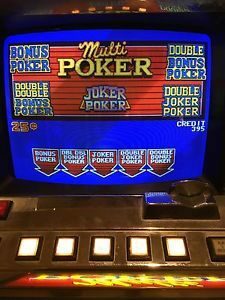 The particular program installed in this machine, according to some technical literature, has a payback percentage of 100.2 percent and is probably the most liberal to be seen in casino’s. This machine is in excellent condition for it’s age both mechanically and cosmetically. The bill validator has the latest software update available, however it will not accept new one hundred dollar bills. The coin hopper works well. It includes simple thumb locks for the door and belly glass. A reset key is included. The battery on the processor board was recently replaced. It comes with a CRT monitor and as can been seen in the photo’s has an excellent picture. 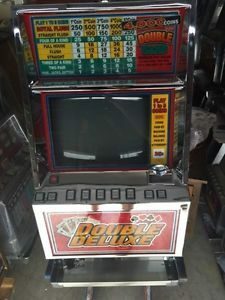 For an additional $300.00, a used LCD monitor is included (you get two monitors). The LCD is a Ceronix which has a four year warranty, so you can see from the label that is not yet two years old and includes more than two years warranty from Ceronix. Although the machine is working as it is supposed to, it is sold as is, where is. Local pickup is preferred. The monitors should be shipped in separate boxes for protection, so that is a consideration. Should the purchaser chose to hire a shipper I will provide assistance, but crating is not available. Local pickup is strongly suggested as damage could easily occur. 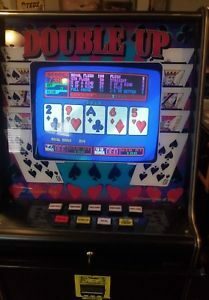 This is a nice machine, it is usually my go to machine when I want to play and I have 16 to chose from.